SOUTHERN TRUCK NO RUST Clean. FUEL EFFICIENT 30 MPG Hwy/22 MPG City! AUDIO SYSTEM, AM/FM STEREO WITH CD PL... Onboard Communications System, ENGINE, ECOTEC 2.2L DOHC 16-VALVE 4-C... TRANSMISSION, 4-SPEED AUTOMATIC. 5 Star Driver Front Crash Rating. 5 Star Driver Side Crash Rating. Tire Pressure Monitoring System, Front Disc/Rear Drum Brakes Safety equipment includes Tire Pressure Monitoring System Chevrolet Panel LS with Summit White exterior and Ebony interior features a 4 Cylinder Engine with 149 HP at 5600 RPM*. TRANSMISSION, 4-SPEED AUTOMATIC includes (AP3) remote vehicle starter system, AUDIO SYSTEM, AM/FM STEREO WITH CD PLAYER seek-and-scan, digital clock and auxiliary input jack (STD), ENGINE, ECOTEC 2.2L DOHC 16-VALVE 4-CYLINDER SFI (149 hp [111.1 kW] @ 5600 rpm, 152 lb-ft of torque [205.2 N-m] @ 4200 rpm) (STD). Serviced here, Non-Smoker vehicle. 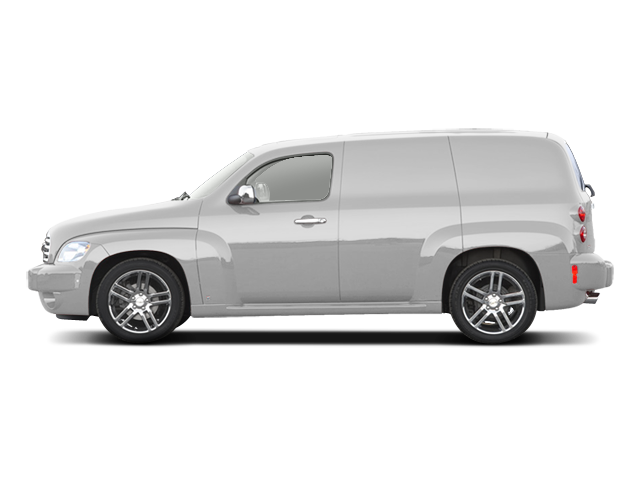 Edmunds.com's review says "With 63 cubic feet, the HHR has as much total cargo capacity as the PT and, unlike in the Chrysler, you don't have to completely remove the rear seats.". Great Gas Mileage: 30 MPG Hwy. Pricing analysis performed on 4/5/2019. Horsepower calculations based on trim engine configuration. Fuel economy calculations based on original manufacturer data for trim engine configuration. Hello, I would like more information about the 2008 Chevrolet HHR, stock# 15850. Hello, I would like to see more pictures of the 2008 Chevrolet HHR, stock# 15850. Ready to drive this 2008 Chevrolet HHR? Let us know below when you are coming in, and we'll get it ready for you.